Here’s a list of unique places to stay while visiting the Sunshine Coast. Admit it, at one time in your life you thought “Wouldn’t it be great to live on your own private island?” Out There on Nelson Island has got you covered. This secluded resort offers you an off-the-grid getaway on your own private island. Including a large yurt with a full kitchen and plenty of hammocks, this unique getaway offers a one of a kind digital detox experience. After a long day of kayaking amongst the towering BC Coast Mountain range in Desolation Sound, there is nothing like curling up your very own, locally sourced, handcrafted, Western Red Cedar and Douglas fir cabin. With large screened openings that let the moonlight, sounds of the wild, and fresh air pour in. Perfection. 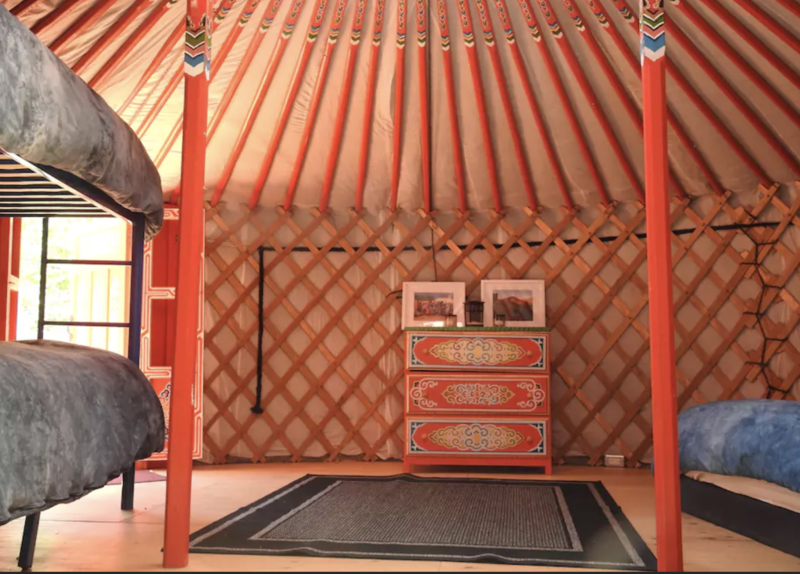 For those times when only an authentic Mongolian Yurt will do – Finn Bay Farm Retreat is your spot! Located on a sprawling 13 acre property in Lund, this is a great spot to launch any Kayaking adventure into Desolation Sound. They also feature 4 platforms for tenting and 2 luxury cabins with hot tubs, who’s up for a dip? 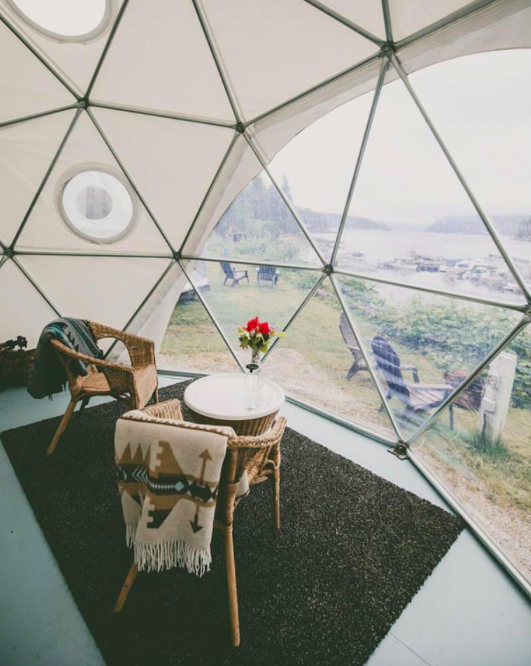 There’s only one place that you can surf the Skookumchuck Rapids in the morning and sprawl out in your own private Geodesic Dome in the afternoon – Backeddy Resort and Marina in Egmont, BC. 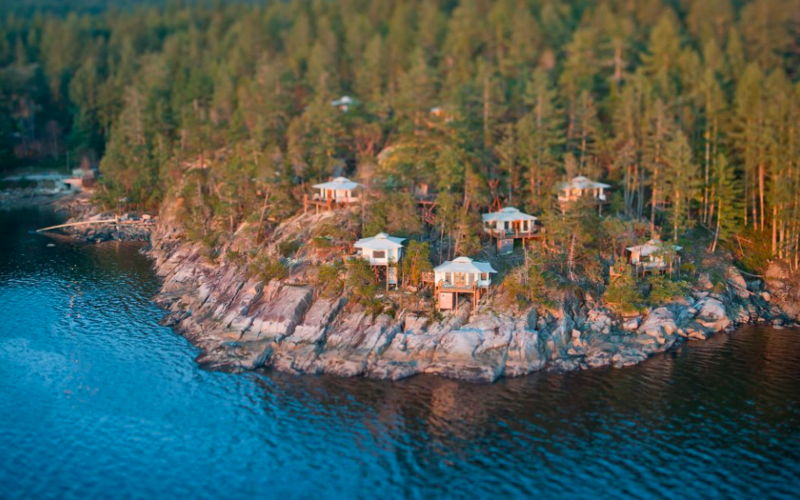 Each dome provides king size beds and unobstructed views of the Sechelt Inlet and all its glory. Say goodbye to corners and crawl into a soothing back-to-nature experience. 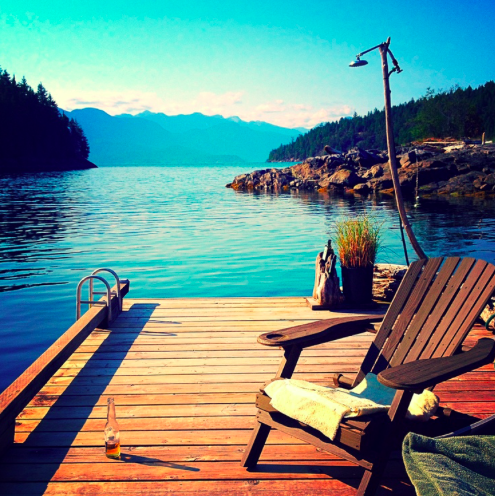 Pender Harbour Resort and Marina has a number of great options in terms of accommodation. 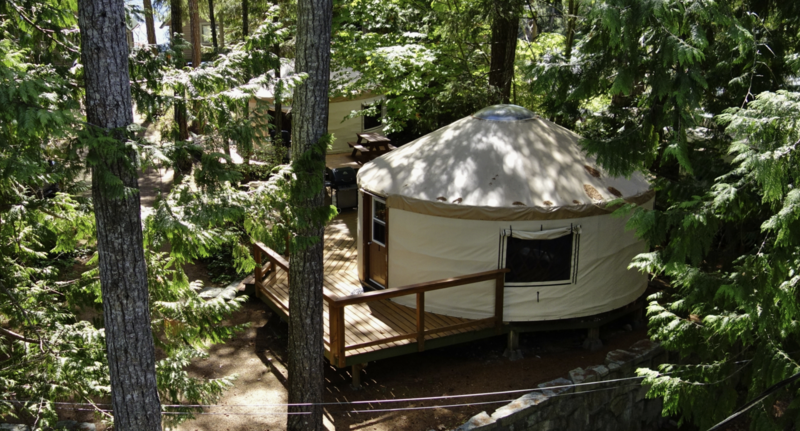 From their 8 person Chalet with private patio overlooking the ocean, complete with your own hot tub, to some fantastic camping spots; but the real treat is their authentic Yurts nestled in with the trees. If you’re looking for a unique getaway, this is your spot! If you lean more towards “glamping” than “camping” Rockwater Resort’s Luxury Tenthouse suites are going to be a dream come true. These stunning suites may look like tents but they have all the amenities to take your glamping experience to the next level. We’re talkin’ king size beds, hydrotherapy tubs with ocean views, rain forest shower, propane fireplace, heated floors, private verandas, expansive ocean views, Warm Buddy bathrobes, and the list goes on! Tenting in the lap of luxury. If you’re torn between visiting the BC’s west coast, Mexico, or Bali, this stunning property brings all the flavours of each region into one magical spot – Bali Casa. A dream made into reality, this five-acre property features an eclectic mix of bronze Balinese Buddhas, brightly coloured original paintings, Zen gardens and Turkish rugs embodying a multi-cultural Canadian mosaic. Located within minutes of amenities in Halfmoon Bay and Sechelt, this West Coast paradise is extremely private and secluded, high up among the trees in a serene, natural setting. Daniel Cooper lives and works in Vancouver, B.C. An avid blog writer, photographer, entrepreneur, and outdoor enthusiast, Daniel can be found tapping away at his computer in between adventuring throughout beautiful B.C. If you would like to learn more about what Daniel does check out his website.